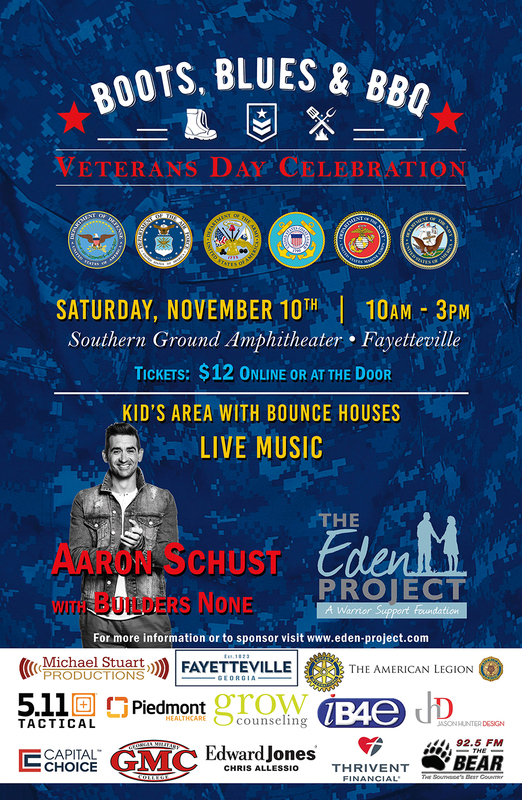 Join us as we honor our veterans and their families with a day filled with music, food, and fun! It’s the 2nd annual Boots, Blues and BBQ Veteran’s Day Celebration! The lineup begins with a Parade to honor our veterans in historic downtown Fayetteville. After that, join our emcee Michael Stuart for a full day of fun including dozens of local vendors, food, speakers, local entertainment from Builders None and our headliner… Dove award winner Aaron Shust! 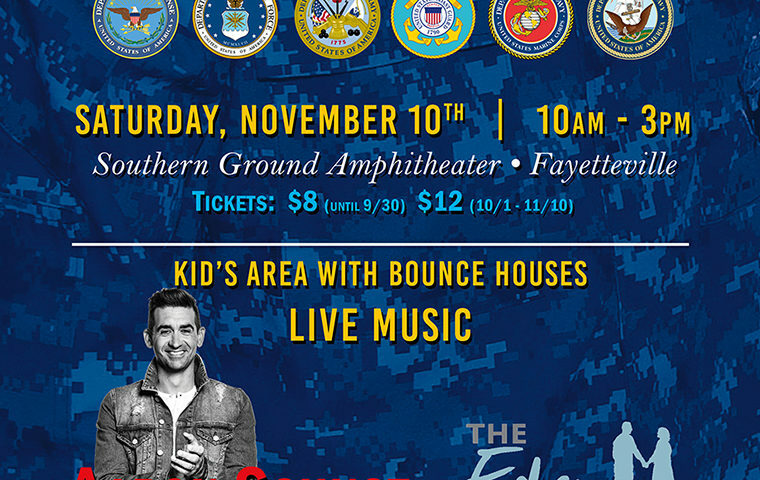 The parade and events outside the amphitheater are free to everyone but this amazing concert and celebration to our veterans has limited seating for ticket holders. 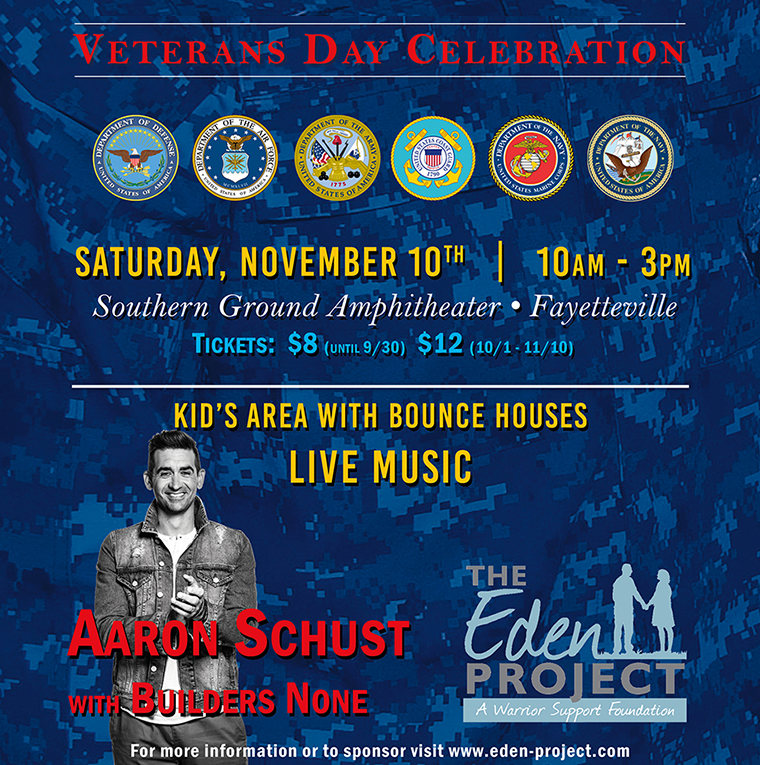 All proceeds for this charity concert will go to support local programs for veterans and their families. EARLY BIRD: Tickets at the gate will be $12, but for a limited time, get your ticket for just $8! Join us as we celebrate our veterans and their families.